This is a modular data center. This building was designed to be supplied from three 2,500kVA service transformers, each fed from two utility substations, through automatic transfer switches. 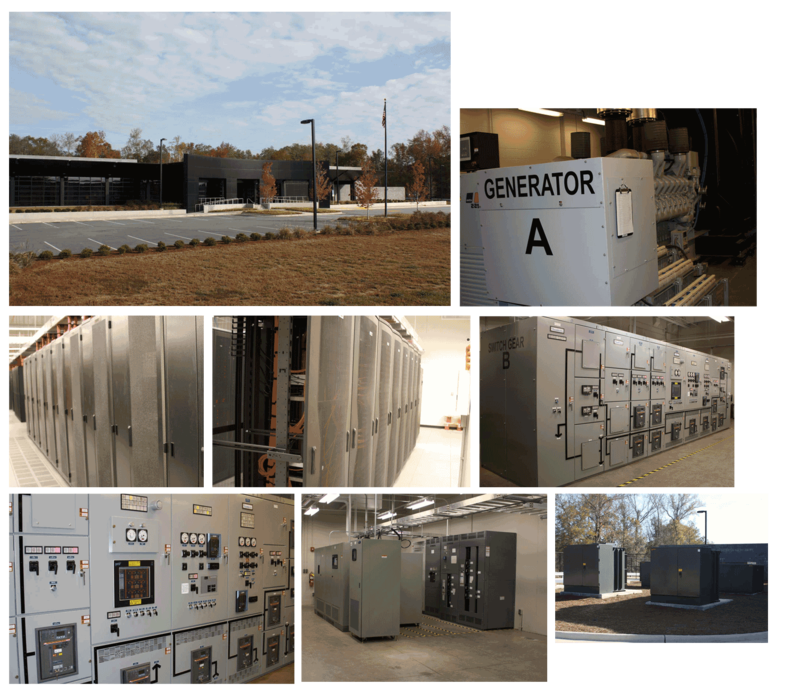 Each utility service, paired with a 2,500kW generator, supplies two single module Uninterruptible Power Supply (UPS) Systems. The system is unique in the fact that the UPS Systems use flywheels in lieu of batteries to store energy, thus implementing greener technology because there are no batteries to dispose of.